In October of 1936, J.R.R. 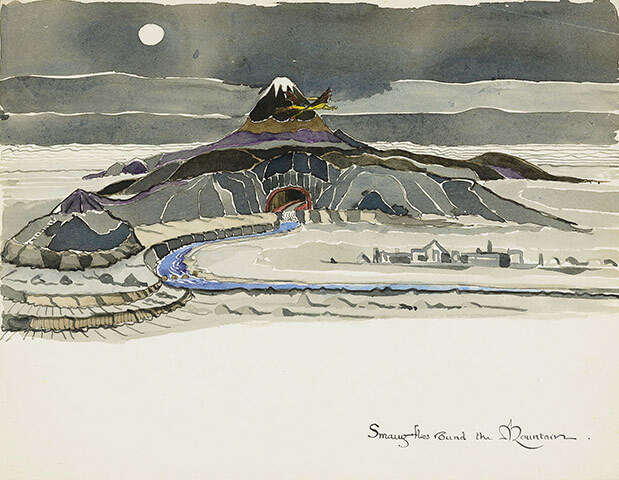 Tolkien delivered to his publisher the manuscript of what would become one of the most celebrated fantasy books of all time. 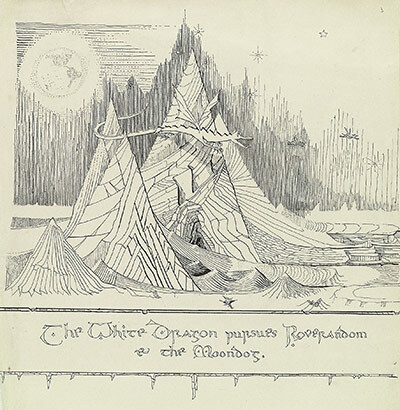 In September of the following year, The Hobbit made its debut, with 20 or so original drawings, two maps, and a cover painting by Tolkien himself. 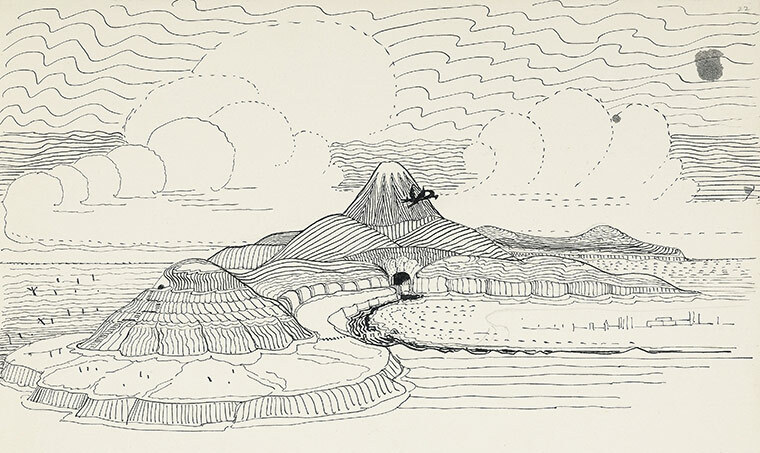 But it turns out the author created more than 100 illustrations, recently uncovered amidst Tolkien's papers, digitized by Oxford's Bodleian Library, and freshly released in Art of the Hobbit -- a magnificent volume celebrating the 75th anniversary of The Hobbit with 110 beautiful, many never-before-seen illustrations by Tolkien, ranging from pencil sketches to ink line drawings to watercolors. 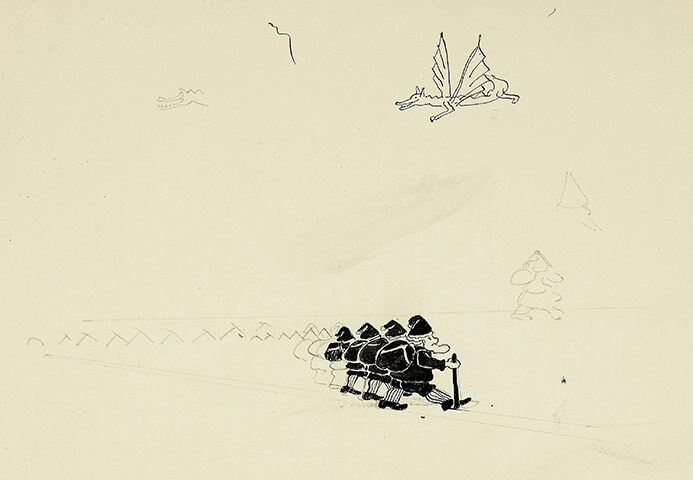 It's a fine addition to our favorite peeks inside the sketchbooks of great creators and digitization projects in the humanities, and a priceless piece of literary history. 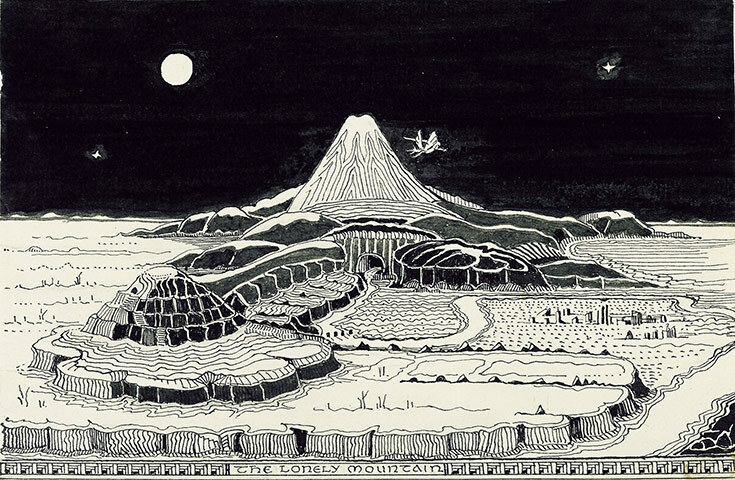 In creating the artwork for The Hobbit, Tolkien borrowed from a short story he had written for his son Michael, titled "Roverandom." People have celebrated Tolkien as a writer for years -- you haven't been able to get away from him since all the books of the century polls. But The Lord of the Rings has always been the focus since it was published in 1954 -- it's a much more grown-up, significant book. 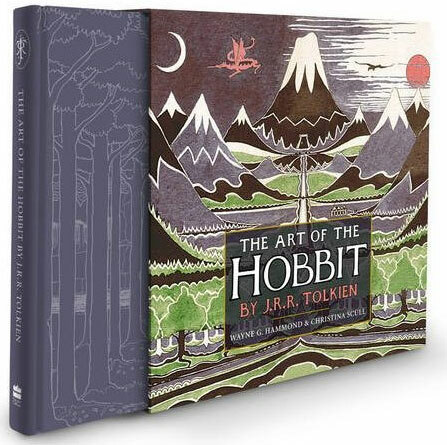 It has overshadowed The Hobbit as a more old-fashioned, children's book, which has become known in the context of The Lord of the Rings. The anniversary allows us to move the spotlight back on to the book which started it all. 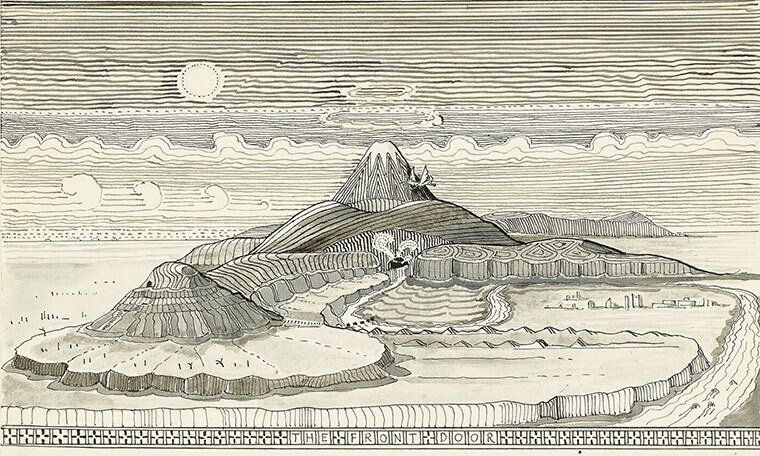 A rare piece of cross-disciplinary creativity from the mind of one of modern history's greatest creators, Art of the Hobbit is equal parts literary treasure and treat of art, exploring the notion of the author as designer -- a particularly timely concept in the age of self-publishing and disciplinary cross-pollination in the making of books.